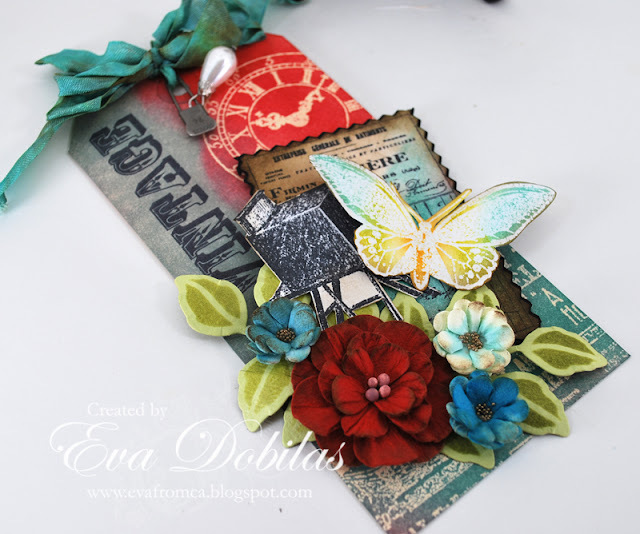 The Rubber Cafe Design Team Blog: Color Inspiration with Guest Designer Eva! Eva is so talented! Love the pieces she made...wonderful colors and of course the best stamps. WOW! What an AMAZING tag, soooo beautiful!!! Love the colors, layers, everything. And the card - awesome!!! Fun fun projects! I really enjoyed your short time with us this month Eva! 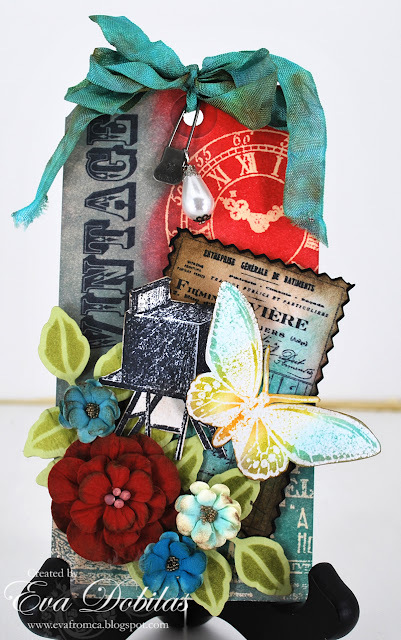 I love your 'vintage' cluster for tags.